The Portal provides online services for customers to manage the orders placed with Athena Graphics. Besides an overview of the status you can use it as an online approving cycle. 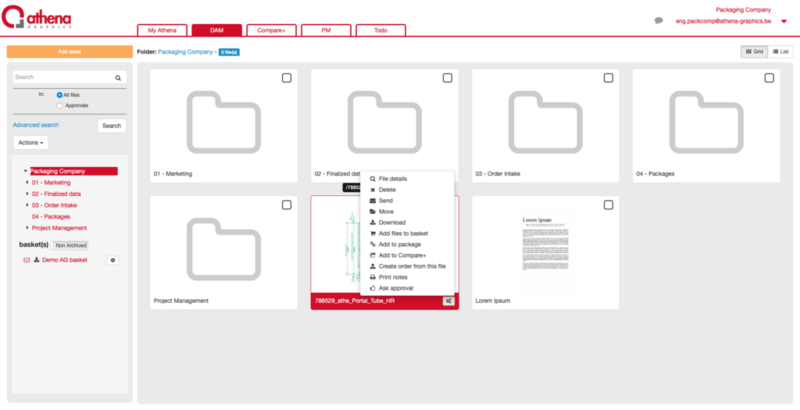 Compare is the most easy-to-use stand-alone solution to compare artwork files. 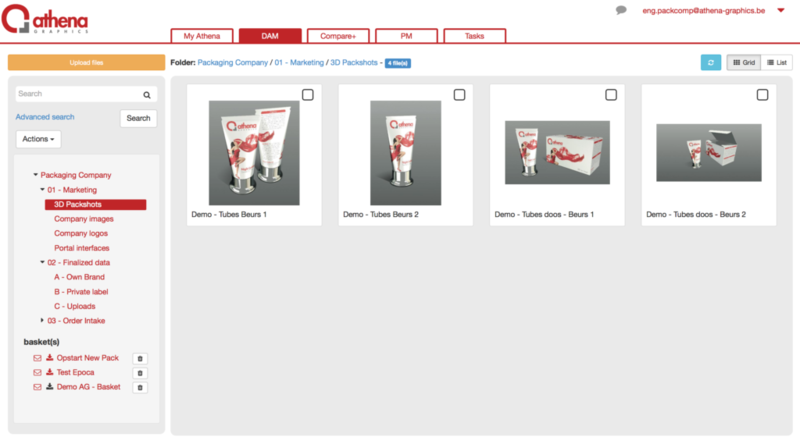 DAM offers a central repository for all your media, prepress files, cutter guides, logos,… .This is what they call a Digital Asset Management (DAM). Managing the content of multiple packages will become piece of cake. Would you like to have your packaging approved in a simple and efficient way independent of Athena Graphics? Our user-friendly tool DAM+ makes it possible. Compare+ is an extended version of Compare, because you can upload external pdf-files and compare them. Even when they are not integrated in ‘My Athena’. This user-friendly project management module helps you to streamline your work and brings efficiency in the processes of your organization. 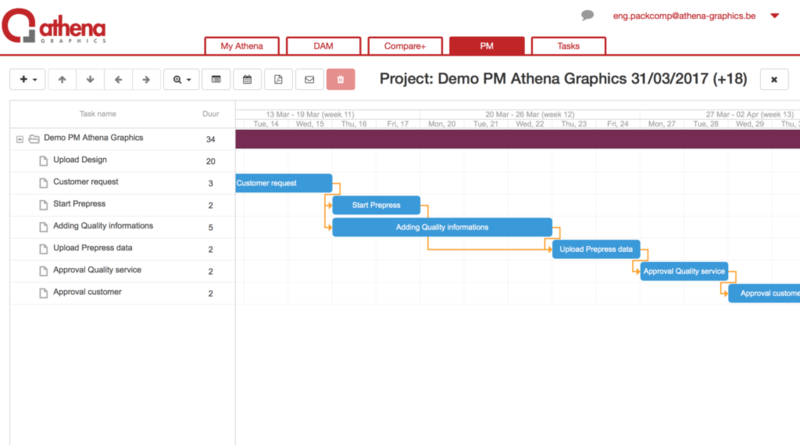 By this module, a planning of all tasks can be made upfront in order to meet your deadlines. 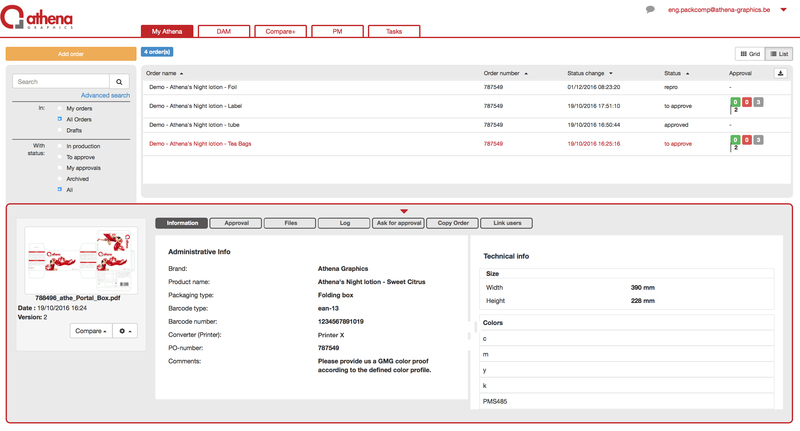 Webshop is a flexible online system to transfer graphic and administrative files of your orders. 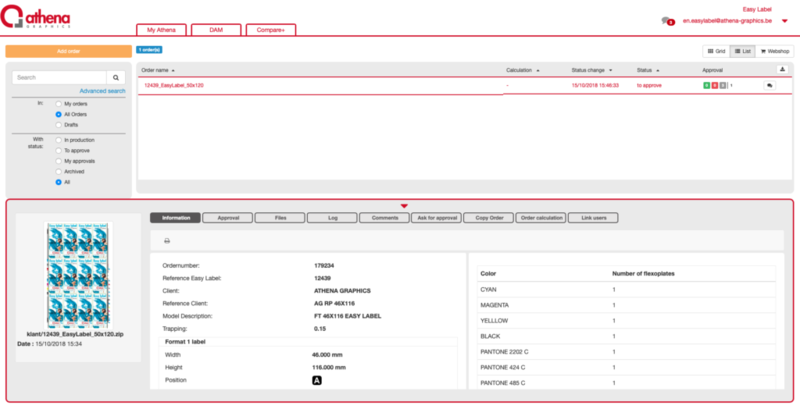 Thanks to this unique web tool customers can upload their data and follow up the job online in the different production stadia.